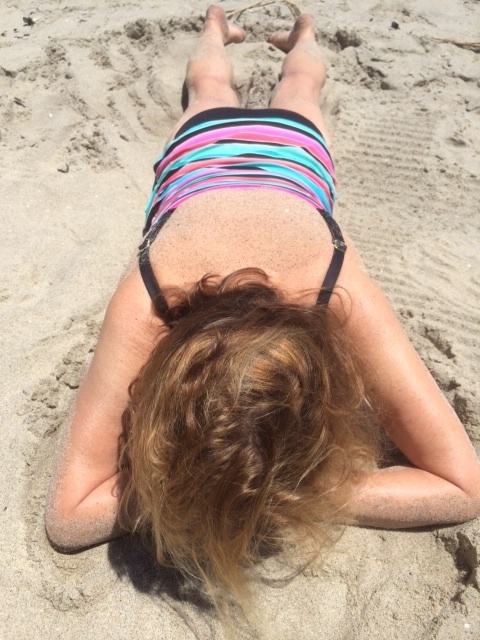 I love lying on the sand sans towel. It’s official. Summer, for us on the east coast, has arrived. It was a long haul, with a lot of false starts, but with the solstice on Saturday June 21 it appears it has decided to stay. This is when beach nuts rejoice. It means lugging umbrellas, chairs and wheelie carts filled with cherries, chips and beer down to the ocean, scrabble games and frisbee games along with the time to catch up on all those books that escaped over the winter. But most important it’s about diving into the ocean and rolling in the sand and making sure sunscreen is applied so thoroughly that not an inch of UVA rays reach the dermis. 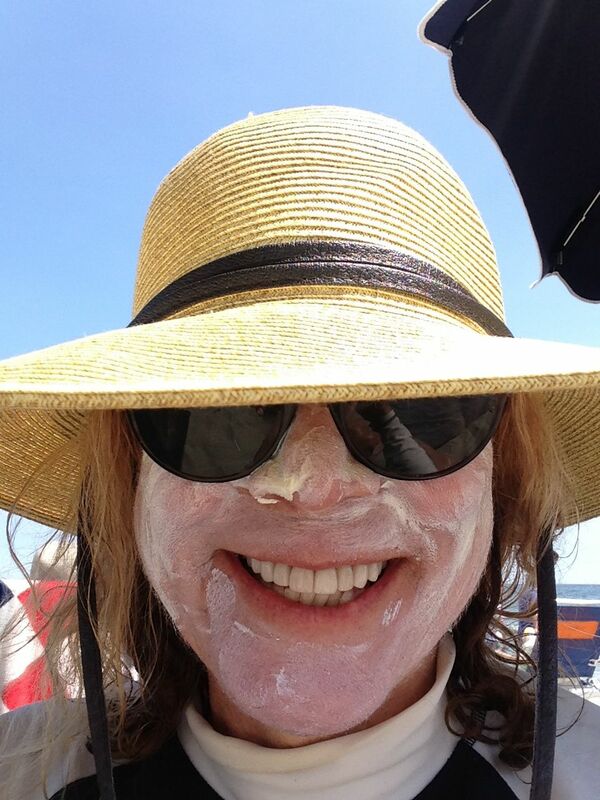 Yep, I am thrilled to be donning my mask every sunny Saturday and Sunday until September, (and I do know that sunscreen should be applied all year long but no need for the thick layer). To return to the beach club where I have gone every year for the past 20 years and see everyone in their place is like old home week. It’s comforting that we reappear on cue with opening day, even while we are still waiting for the restaurant that was destroyed by Hurricane Sandy to be rebuilt. The pool is there beckoning for lap swimming and the old snack bar guy is back making the best tuna fish sandwiches ever and you can still nab a glass of wine at the highly modified tiki bar. A day at the beach always delivers complete joy fulfillment, but the fact is, the options for joy fulfillment in summer are endless.